Wine and Bees and Trees! Home/Tree Plantings/Tree Plantings in Victoria/Wine and Bees and Trees! De Bortioli Wines come with a long history of family, food and grapes. In the 1920’s, Vittorio and Giuseppina De Bortoli left the beautiful alpine foothills of Italy’s north and arrived in the fertile Riverina region in New South Wales. Through ‘hard work, self-sufficiency, determination and vision’ they achieved their dream of owning their own land and making wine. Thereby establishing a lasting legacy. That legacy now extends to vineyards in the Yarra Valley, Riverina, King Valley, Heathcote and the Hunter Valley. The De Bortioli family believe that the future lies in looking after the health of our soils and plants and carefully managing our precious water resources. De Bortioli Wines believes in leaving a legacy for future generations. And so we come to trees! 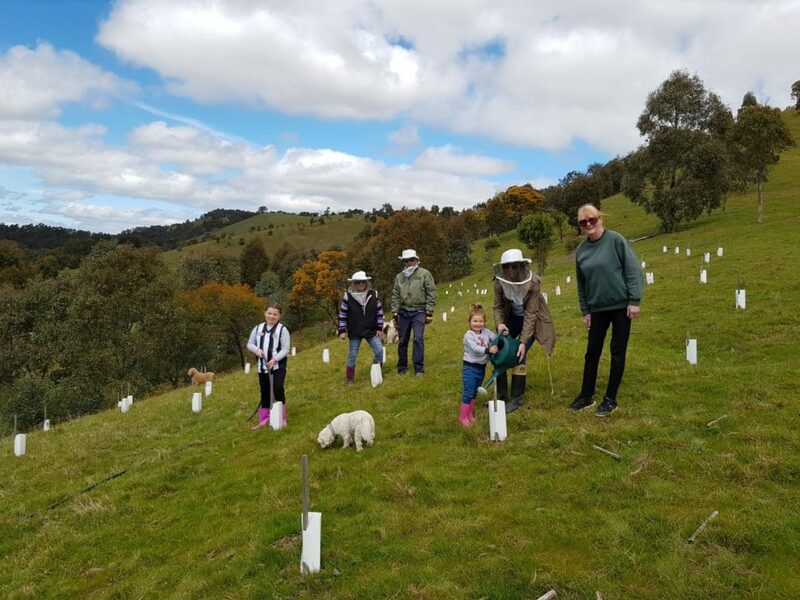 The De Bortioli family have generously purchased 200 trees for our friends in the Flowerdale district of Victoria (nestled between their Heathcote, King Valley and Yarra Valley vineyards). The trees were planted by Steve and Heather Joblin, who are both long time members of the Flowerdale Landcare Group. Fifteen Trees and the Joblins have been planting trees together since the aftermath of the 2009 bushfires. In fact, Fifteen Trees largely came about as a response from those Black Saturday fires. As the owners of the property, we have an interest in beekeeping. A decision was made to undertake a project named Trees for Bees. In this project, we’ve been replacing the non-indigenous Tasmanian Bluegums with indigenous Red Box, Yellow Box, Grey Box and Red Stringybark. We have also been planting ground flora and sub-canopy species. These species will provide a diverse range of local plant species for local wildlife and great nectar sources for the bee hives. The corridor effect will be increased by shifting a fence further into a paddock, taking in relatively unproductive grazing areas. As this project is taking place relatively late in the planting season, the need for watering the seedlings to assist establishment is likely. An 800 litre fire appliance on the back of our ute has served the purpose. Thank you De Bortoli Wines for contributing to our work here in the hills of Flowerdale. 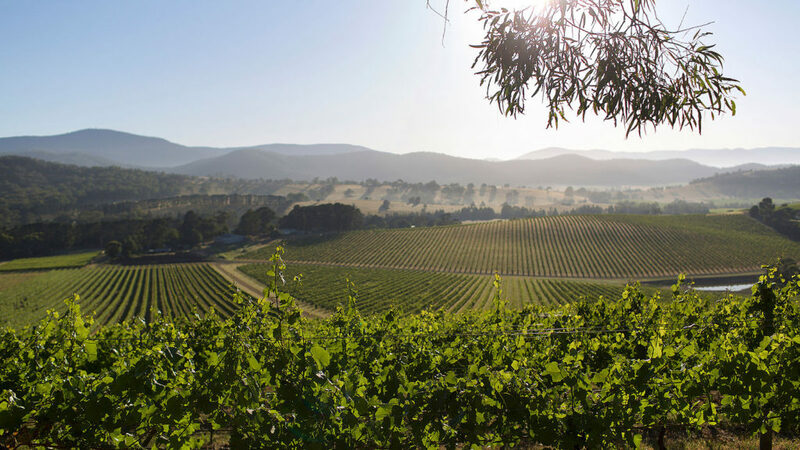 It is through big hearted companies such as De Bortoli Wines, that we can help revegetate our unique and precious Australian landscape and support those who are doing the hard work to look after this land. By Colleen Filippa|2018-12-06T11:38:24+10:00December 5th, 2018|Tree Plantings in Victoria|Comments Off on Wine and Bees and Trees!